Glossy, quick drying and longlasting, the brand new Dior 1 Couleur Eye Gloss is a dream come true for fans of super speedy makeup. 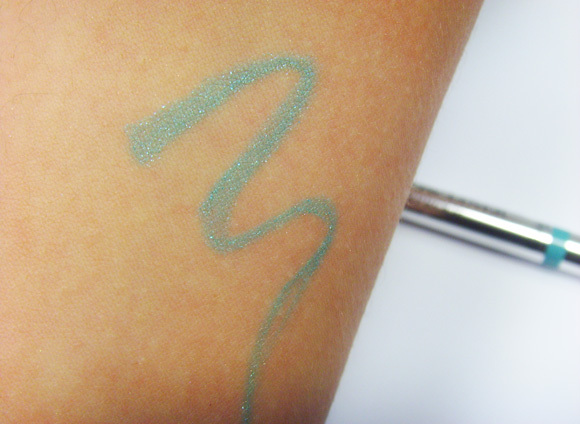 Dab onto the eye and then blend out for a wash of sheer colour, or build it up for a metallic sheen. 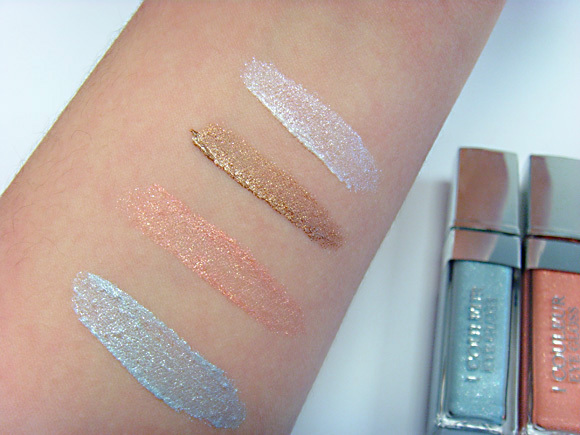 Azur is a baby blue shot through with fine silver shimmer, Sunset is a coral peach with golden glimmer, Tan is a golden brown with bronze shimmer, and Seashell is a pearl white with silver spangles. These shadows may cause love at first sight. Available in two very different colourways, the Croisette edition Eye Palettes are a real statement piece. Swimming Pool combines muted brights in various shades of blue and pink, while Aurora draws its inspiration colours from the dazzling golden hues of a sunset. 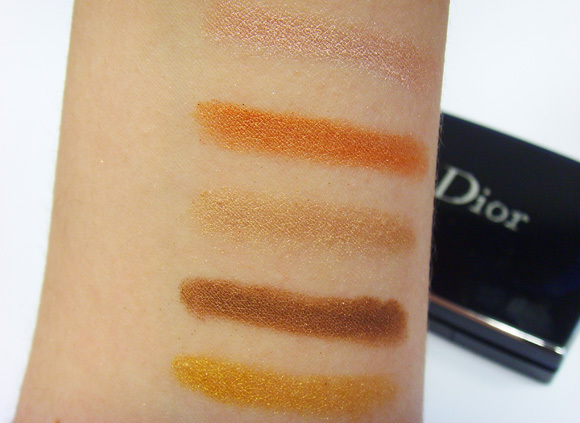 Each palette includes two double ended applicators and comes inside its very own velvet Dior case. Pure summer luxury. One of my favourite products of the collection is the Diorshow Waterproof Liner in Turquoise, a vivid and long-lasting liner. The unique blue shade matches the Saint Tropez nail colour and is shot through with subtle multireflective shimmer. It’s the ideal way to create an instantly summery look. 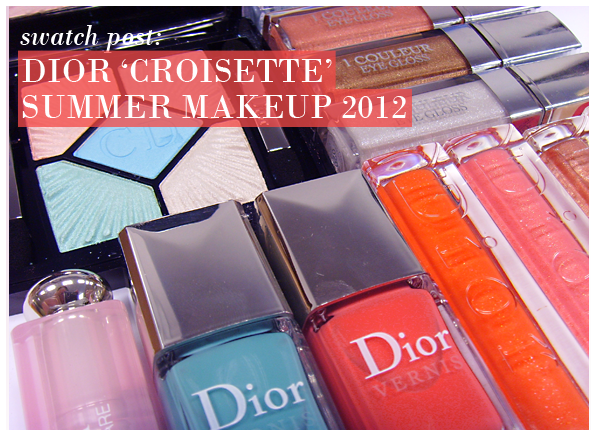 Discover the Dior Croisette Summer Makeup Collection here at Escentual, including the entire lip and face ranges. I love the look of the eye gloss when I first put it on but it doesn't last. It goes all patchy and creases after an hour or two. I have also tried it with a primer but it still creases. 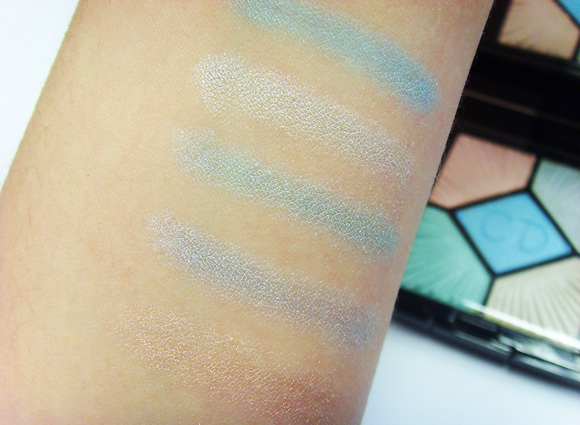 This entry was posted on Tuesday, May 15th, 2012 at 8:07 am and is filed under Make-up, Swatches, Tried & Tested. You can follow any responses to this entry through the RSS 2.0 feed. You can skip to the end and leave a response. Pinging is currently not allowed. 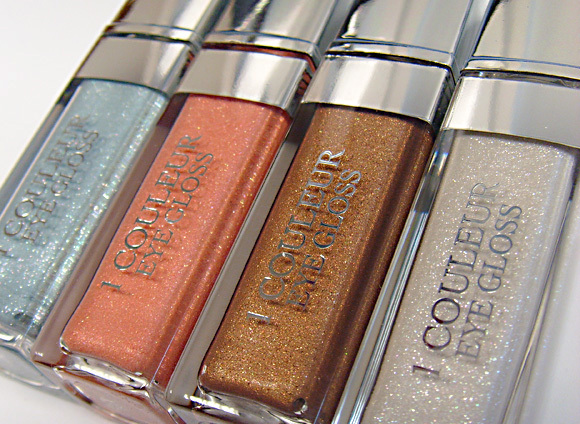 gorgeous I got almost everything of this summer collection and absolutely love it!